President Dean chaired his first meeting. He laid out briefly his plan how to achieve all the goals to earn our club a Rotary Citation at the end of his year. Discussions included Membership and retention, projects, fundraising and social activity. 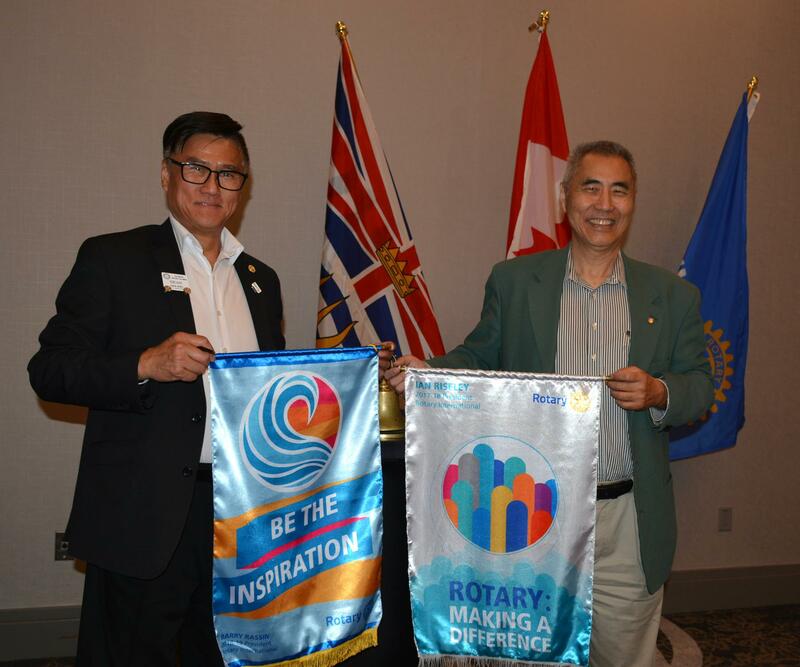 An unofficial ceremony President James rolled up his "Rotary: Making a Difference" banner for his year. 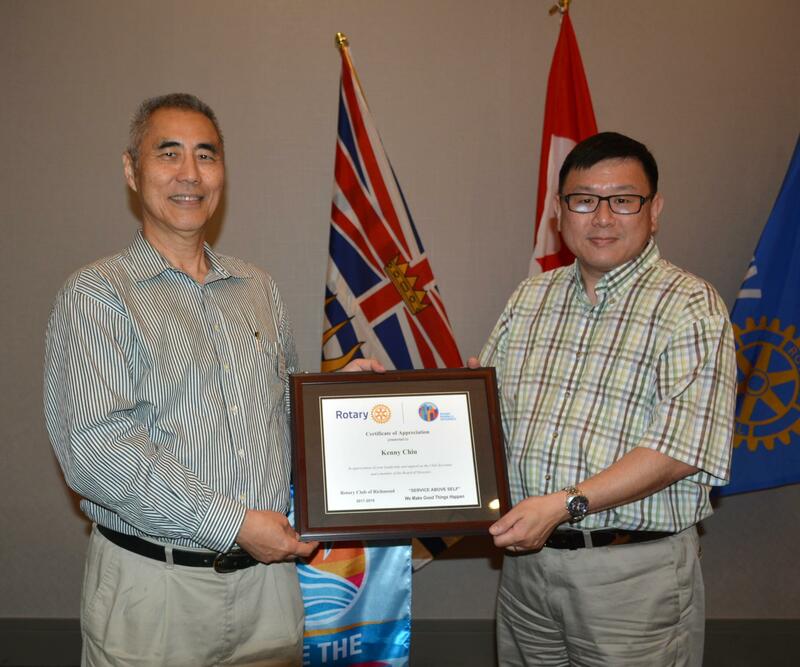 He also presented Kenny a certificate of recognition. We didn't have to twist his arm, our newest member Jimmy Yan is volunteering to take on our club tweeter account, follow us on tweeter... . He is also taking on the responsibility of our club program working alongside with Past President James. 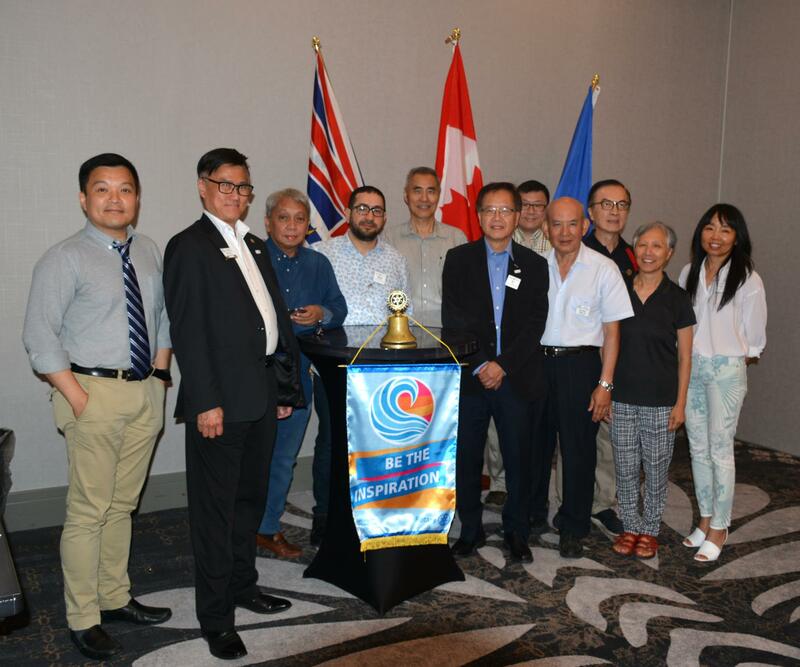 Welcome visitor Roberto Tito Pacana, President of Rotary Club of Metro Cebu Philippines. He is interested to have some joint projects with our club.